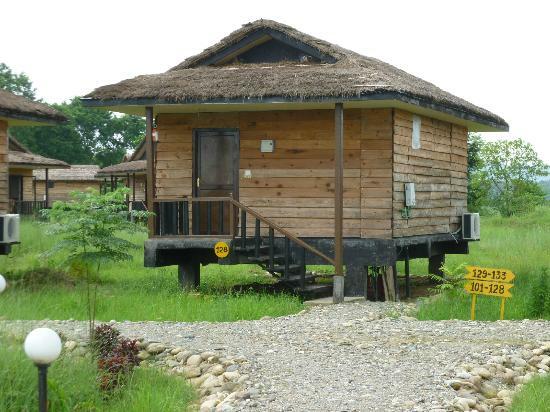 and business venues in Chitwan National Park. Hotel is well equipped with all room amenities to ensure the maximum comfort for its guests. 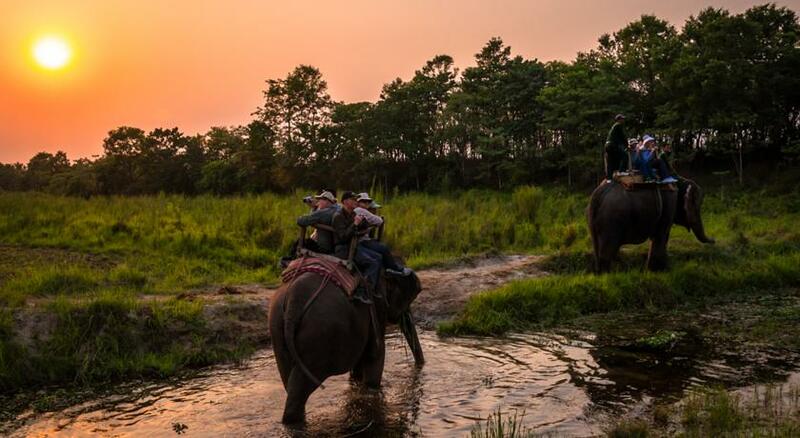 Chitwan National Park accommodation provides room service, restaurant, meeting facilities to suit all guests' utmost convenience. Guests can enjoy the leisure facilities provided on the hotel's property, including garden. 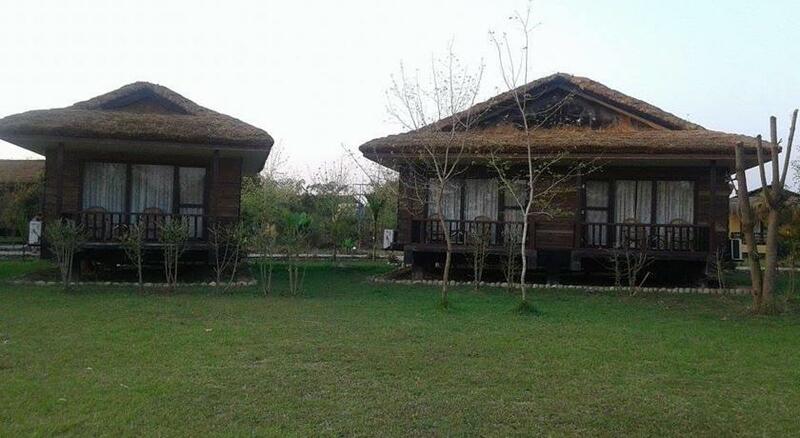 Being one of the good quality hotels in Chitwan National Park, guests staying at this hotel will find its convenient location and tranquil atmosphere pleasurable. 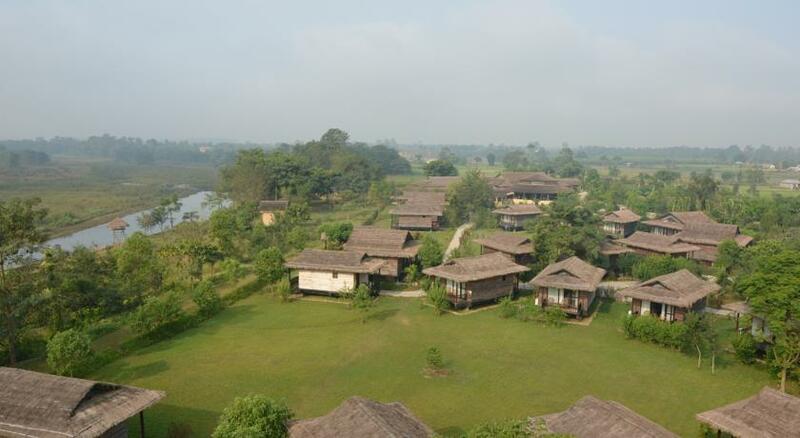 Tigerland Safari Resort lies on the edge of Nepal's premier Chitwan National Park, a world heritage site, 168 kms south of Kathmandu. 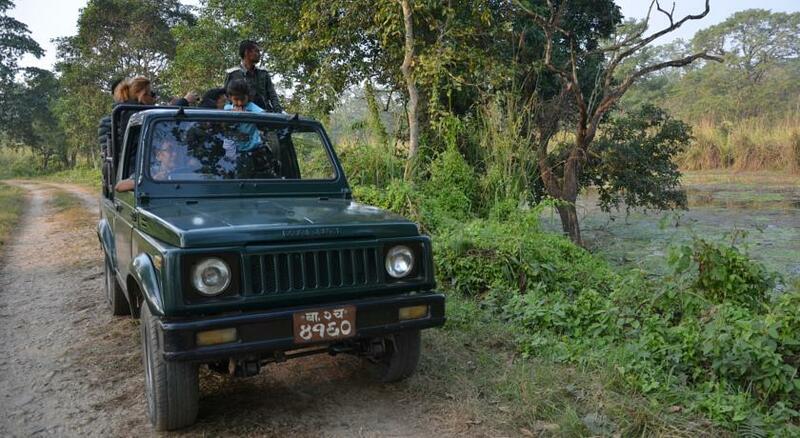 Tigerland Safari Resort is spread within 20 acres of land at an elevation of 30 meters above the Rapti River, the border of Chitwan National Park. 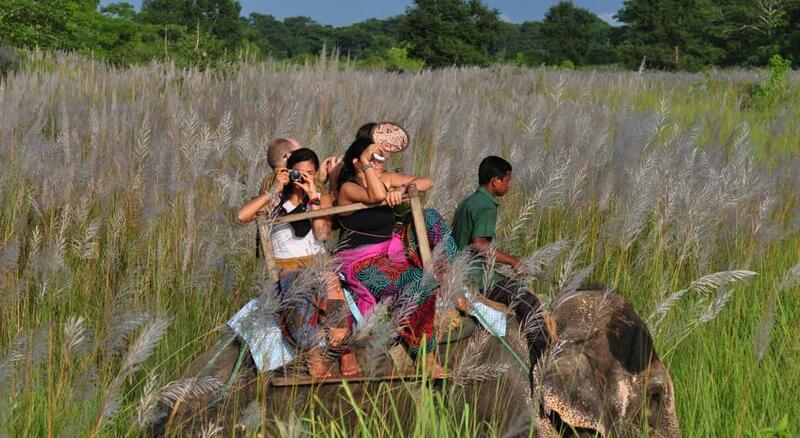 Chitwan National Park is the home of the great One Horned Rhinoceros, Wild Boar, Sloth Bear, Gaur (bison), 4 species of Deer, 2 species of Crocodile, 2 species of Monkeys, the elusive Royal Bengal Tiger, over 450 species of birds and various other reptiles. There are 32 individual air conditioned deluxe villas, built on stilts and using sustainable natural materials, blend perfectly with nature. The fully air conditioned guest rooms are elegantly decorated. International size twin/ double bed, comfortable rooms, spacious attached bathrooms with running hot and cold water are a beautiful blend of wood, marble and bamboo (rattan). The thatched roofs of the villas merge magnificently within the jungle environment as they are made from the abundant Siru grass. Resort proudly claim to have the unique distinction of each and every villa overlooking the vast jungle space where glimpses of reptiles and animals are quite common. 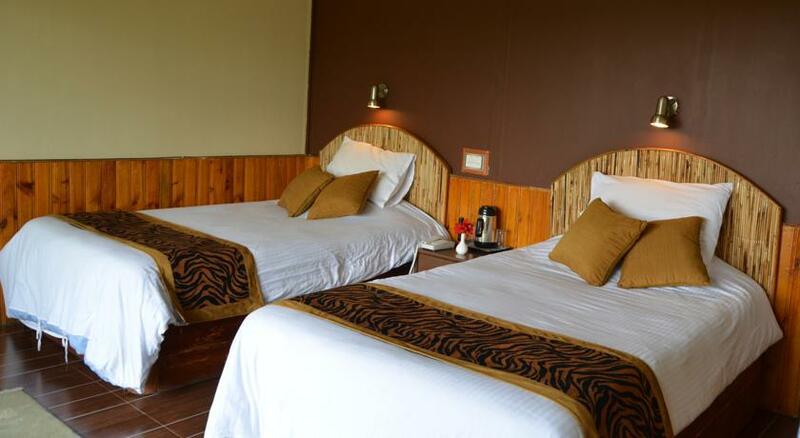 All the Tigerland resort bedrooms are fully air-conditioned, have a separate bath room and walk-in shower, separate work table, Wi-Fi internet connectivity, satellite TV, safety deposit box and room service is available 24 hours a day. At the restaurant Nepalese and Western cuisine is served in the dining hall. The well-stocked bar which is open until the last guest retires is a huge draw for the thirsty as well as for those that need to relax after their safari or trek. In the evening a range of complimentary nibbles and snacks are provided to go with evening drinks before dinner. The restaurant in Tigerland Safari Resort offers a choice of different types of Asian and continental cuisines. The Hornbill’s Nest Bar opens throughout the day till late night and offers a wide selection of spirits, champagnes, wines, alcoholic and non-alcoholic beverages. The Hornbill’s Nest Bar is great place to catch up with fellow travellers or just sit back and relax with a cold beer. Parking, Restaurant, Baby sitting, Dry cleaning, Handicap rooms, Lounges/bars, Meeting rooms, Room service, Safe deposit box, Valet parking, Air conditioning, Shower, Bar/Cafe, Medical Service, Laundry, Parking, Leisure facilities and Swimming Pool . 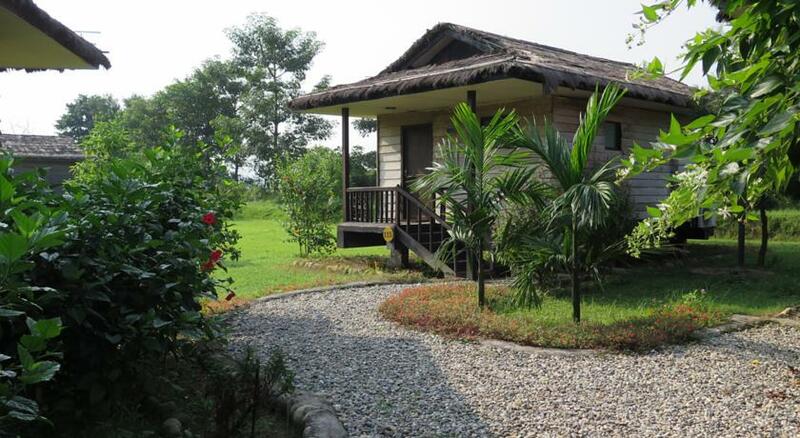 Tigerland Safari Resort lies on the edge of Nepals premier Chitwan National Park, a world heritage site, 168 Kms south of Kathmandu. 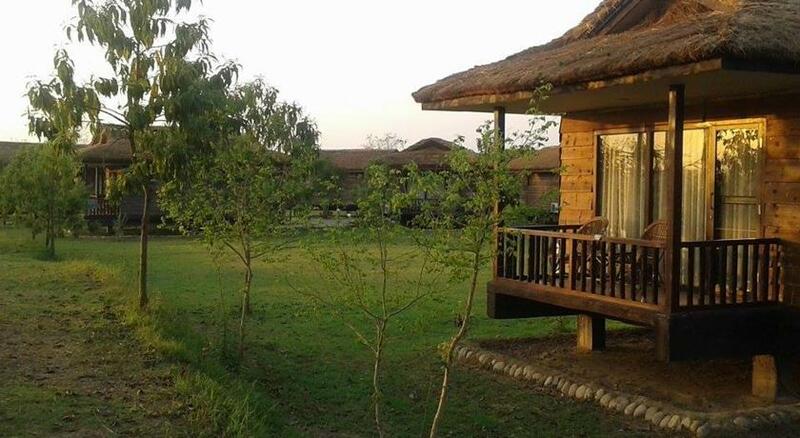 Tigerland Safari Resort is spread within 20 acres of land at the elevation of 30 meters above the Rapti River, the border of Chitwan National Park.